@Brussels/EU Summit/Angelo Marcopolo/- Replying to an "Eurofora"'s Question at his Official Press Conference at EU Heads of State/Government's Summit in Brussels, EU Parliament's President, Antonio Tajani, on the occasion of a recent CoE's Committee of Minsters' Decision on ECHR Judgements' Implementation, clearly Confirmed bis that EU supports Cyprus' President Anastassiades' efforts for a Peaceful ReUnification of the Island with No More Turkey's Foreign Troops. A recent Deadlock on UN-sponsored Talks and a Multilateral Poliical Conference at nearby Switzerland for the Solution of Cyprus' Isse, reached a Deadlock, interrupting the process, mainly because of Ankara's Refusal to Withdraw its Invasion/Occupation Army from Cyprus, and its Insistance on Unilateral Military Intervention Claims, even for the Future. + Now, it's also in the Context of a Recent CoE's Comittee if Ministers' Decision on a landmark ECHR's Judgement Condeming Turkey for persisting Massive Violations of Human Rights of Greek Cypriot Refugees/Displaced Persons, that gave a New, supplementary Occasion to stress EU Parliament President's stance on that Key Issue, as a matter of Princiole. - When you were visiting, recently, Cyprus, CoE took an Important Decision in Strasbourg, while supervising the Execution of ECHR's Judgements: It Raised Questions to Turkey about what it named as "UnLawful Sales and Exploitation of Greek Cypriot Refugees' Homes and Properties" in the Territories of Cyprus stll Occupied by Ankara's Military, Hindering them to Return (See: http://www.eurofora.net/newsflashes/news/coeoncyprusrefugeespropertyexploitationbyturkey.html). Shouldn't this be examined by EU Parliament Next Year (2018) in the context of its Annual Report on EU - Turkey Relations ? 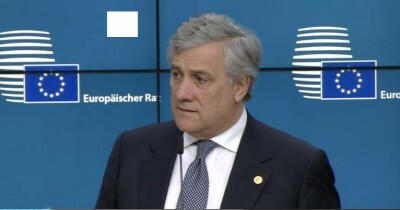 = Indeed, President Tajani, clearly stressed that he was "We Need progress foran Agreelment" on "Cyorus" issue, "but WithOut the presence of Turkish Army in that Part of the Island", which has been Occupied by Ankara's Foreign Military Invasion of 1974. - "I Support the Moves of (Cyprus') President Anastassiades, to Boost an Agreemenr", confirmed EU Parliament's President, concerning the UN sponsored Talks for a Peaceful ReUnification of the Island. 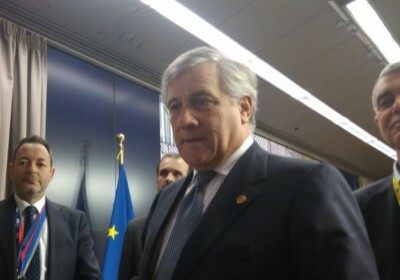 - "But, as I've said, WithOut the Turkish Army in Cyprus", the Experienced EU Parliament's President, who has served also as former Foreign Minister, Top MEP, and Twice f. EU Commissioner reiterated in Conclusion of his Reply to "Euroforz"s above-mentioned Question, during hus Press Conference at EU Summit in Brussels. -"These problems are on the Content of the Agreement" on "Cyprus", he added. - Concerning the Additional concrete Point of the forthcoming, new EU Parliament's Annual Report on EU- Turkey relations, included in "Eurofora"s Question, (Comp. 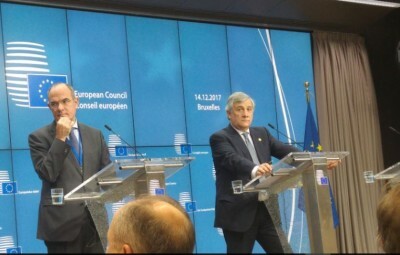 Supra), Tajani stressed, Earlier, as a matter of General Principle, that EU Parliament is always interested on Human Rights issues, and particularly regarding Turkey, obviously implying that the inclusion of serious Topical Developments on such matters in that EU -Turkey Report, would be Natural, and the Right thing to do. A threefold, coordinated move by new Top French Political actors in the 2009 EU Parliament Elections, expressed in Strasbourg a will to boost Europe's Political dimension close to Citizens' concerns, going from protection of Economy to defence of Human Rights. The move met an exceptional ECHR's call for a "revival" of Human Rights' protection mechanism', in a Mega-Conference, early 2010. 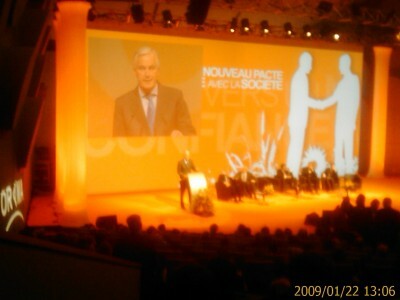 "This goes for everything, including Energy", added to "EuroFora" the experienced former EU Commissioner, Minister of Foreign affairs, currently of Agriculture and Sarkozy's new pick as Leader of the Governing party UMP to EU 2009 Election, Michel BARNIER . - Human Rights are important because they are at the Heart of the Political Europe that we aspire for : I.e. a Europe able to act and protect its Citizens, stressed also the New French Minister for European affairs, Bruno LE MAIRE, while meeting Strasbourg's Journalists at his first visit to the CoE. This is one of the main interests for CoE, which is also a natural place for cooperation between EU countries and Russia or Turkey, which was recently helpful at the Middle East crisis, he added. - "While we are seeking Europe's Borders and Identity, you (ECHR) remind us also of its Values", Human Rights, Dati noted. 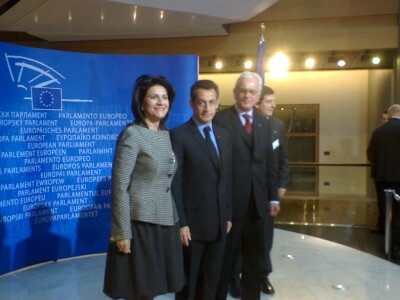 And she expressed "support" to ECHR President Jean-Paul Costa's call to satisfy the vital need to revigorate the PanEuropean Court by deciding big changes at a High-Level Conference open to a large audience, a kind of "Etats Generaux" of Human Rights, at the beginning of 2010. But rather the persistent violations of Human Rights, sometimes very grave (ie. murders, torture, abritrary deprivation of liberty, oppression of freedom of speech, destructions of homes/properties, etc), despite numerous, repeated condemnations by ECHR. So that CoE's Ministers, due to "supervise execution" of ECHR's judgements, are overloaded. F.ex. most Media noted that Turkey still remains, even in 2008, the 1st among 47 CoE member States in the number of condemnations by ECHR : 257, compared to 233 for Russia, with a population more than the double..
- 1.652 condemnations, compared to 605 for Russia, 548 for Poland, 494 for France, 476 for Ukraine, etc. Italy's second place with 1.394 condemnations is a misleading false appearance : In fact, most of them (999) concern mere "procedural delays" in national courts. Same for France. On the contrary, Turkey was condemned 180 times for Killings, 192 times for Torture or Inhuman/Degrading treatments, 340 times for arbitrary deprivation of Liberty, 528 times for "Unfair trial", and 169 times for oppression of Freedom of speech, (etc). And the latest, 2008 numbers, indicate no change in this trend, (See supra). The current Spanish CoE Presidency (November 2008 - May 2009) has made of the implementation of ECHR's judgements its 1st Priority. 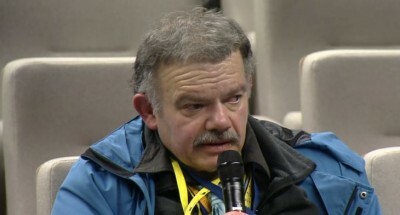 ECHR's President, Jean-Paul Costa, stressed in its 2009 Annual Press Conference, CoE Member States' obligation to implement the judgements, according to Article 46 of the European Convention on Human Rights. Moreover, if CoE's Committee of Ministers delays to ensure implementation, then, the repetition of violations in similar cases provokes a multiplication of complaints tabled to the Court, which overload the mecanism for the protection of Human Rights, denounced Costa. 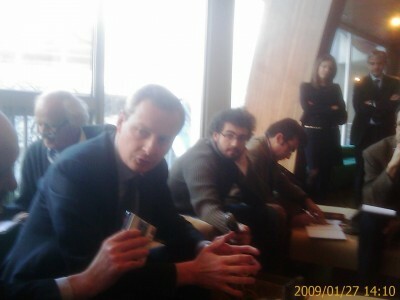 A series of Debates on "the situation of Human Rights in Europe", focusing on the "need to fight against Impunity" of perpetrators of grave crimes, is currently prepared by CoE's Parliamentary Assembly for the session of June 2009. The final Timing comes shortly AFTER the EU Elections, but the main Reports should have been adopted before. Thus, f.ex., EU Parliament's 1st vice-President, Greek MEP Mrs Rodi KRATSA, speaking to "EuroFora", agreed that 2009 EU Election would be a "naturally good" opportunity to debate what really interests EU Citizens : "The Future of a Political Europe, able to face the Economic Crisis, with a Culture and identity which attracts the People"